Personalized candy bar wrappers turn an ordinary chocolate bar into a sweet holiday treasure—personalized with your own custom message. 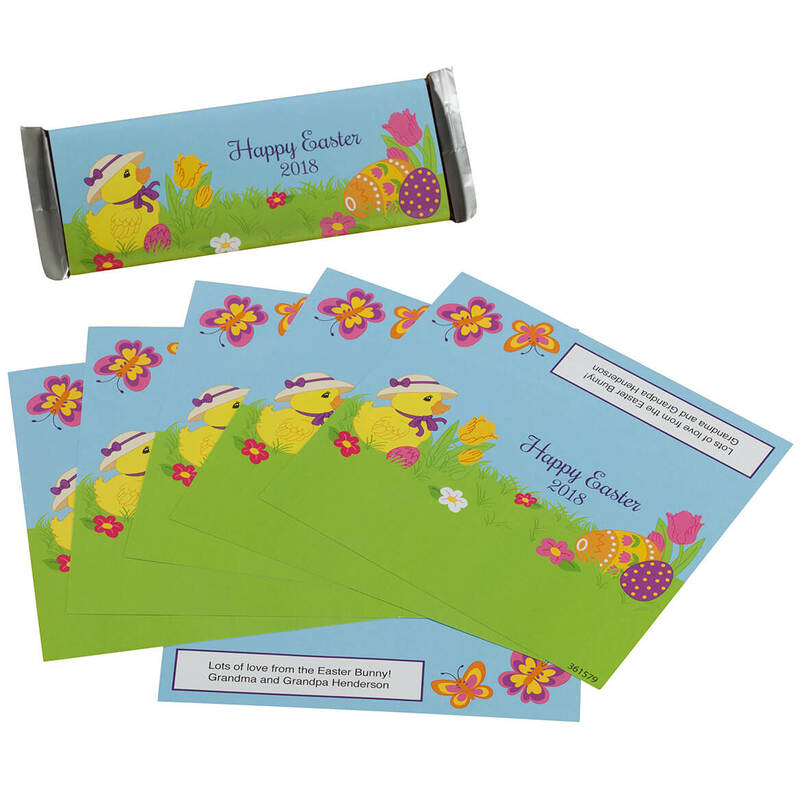 Featuring a cute yellow chick, colorful flowers, fancy Easter eggs and butterflies, the colorful wrapper makes any candy bar a delightful basket STAR … or a treat perfect for party favors, hostess gifts and more. We’ll print your personalized message on the personalized candy wrapper’s back for a truly special touch. Specify message; limit 2 lines, 40 letters/spaces per line. Pre-printed with the year 2018, the beautifully detailed paper wrappers fit standard size candy bars and easily fold together for quick assembly. Set of 24. Each custom candy wrapper is 5 1/2″ long x 5″ wide. Candy bar not included.